Disclosures: I received a copy of this book in exchange for an honest review. All opinions are my own. 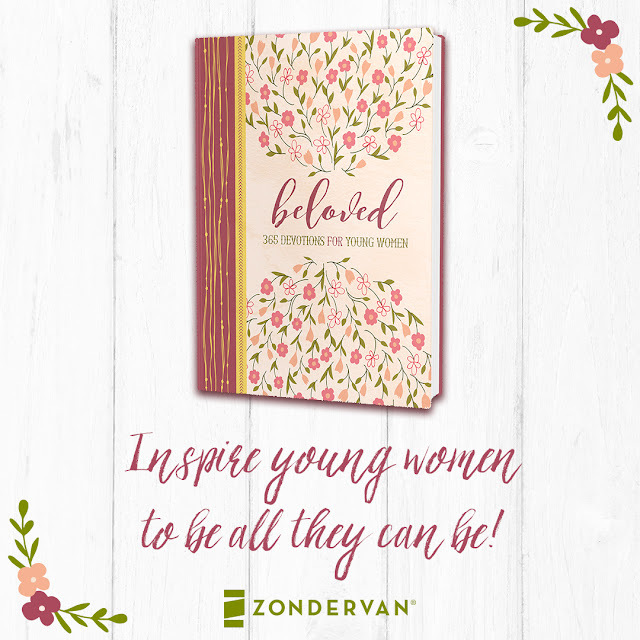 Do you know any young women, around the teen years that could use some Biblical influence in their lives? Young women receive so many negative messages in today’s society. Counteract that with Beloved, a topical 365-day devotional that will inspire them with positive role models from Scripture. Each day features an easy-to-read, relevant devotion paired with a scripture verse about a biblical girl or woman, such as Ruth, Esther, Mary, or Abigail. Every page speaks to the pressures and changes girls face, giving them real-world applications to find God in their hearts and in their lives. Relationships, inner beauty, and chasing your dreams are all topics on the top of a teen girl’s list. So give them great Biblical role models to admire as they grow and understand who they are. Every page speaks to the pressures and changes girls face, giving them real-world applications to find God in their hearts and in their lives.